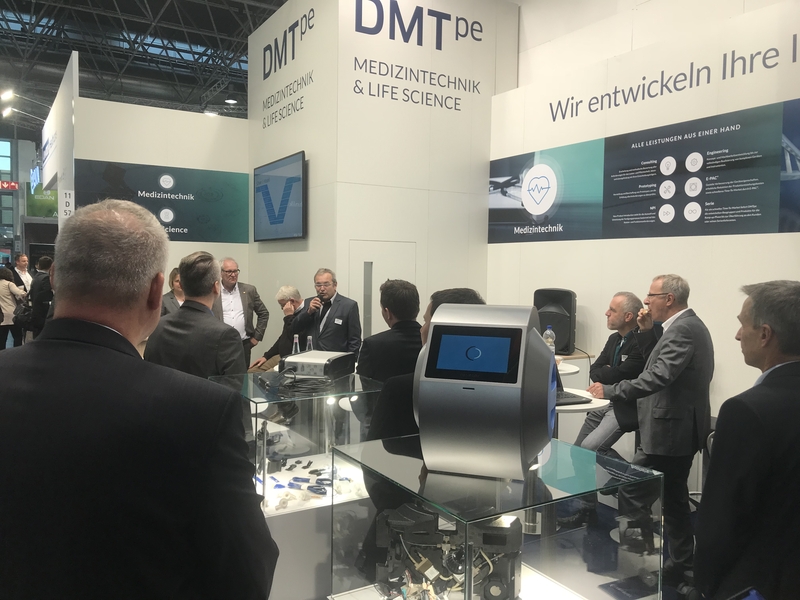 MEDICA 2018: Successful premiere at the MEDICA in Düsseldorf! 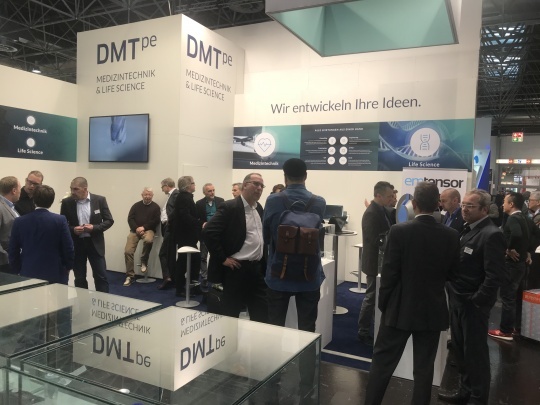 We would like to thank our visitors and partners for the large attendance and for a great premiere at MEDICA with many interesting and constructive discussions and the interest in our services. We are looking forward to the continuation next year and to the tasks ahead of us. DMTpe celebrates its premiere at MEDICA 2018 in Düsseldorf! 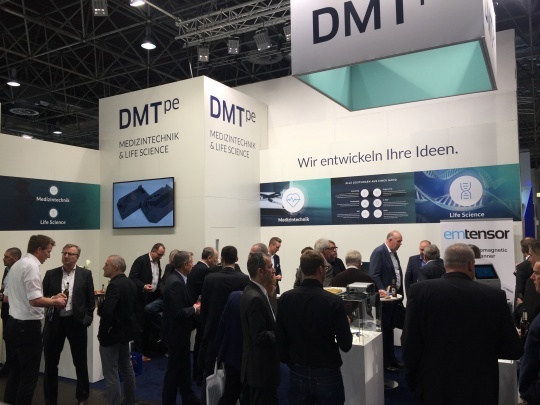 The countdown is on and DMTpe celebrates its premiere as an exhibitor at the MEDICA 2018! We’re presenting our own booth at the MEDICA in Düsseldorf from 12. to 15. November 2018 and are looking forward to your visit! You would like to make an appointment in hall 11 on our booth D57? Our Marketing & Sales Assistant Mrs. Regina Paffrath (regina.paffrath@dmtpe.com) is looking forward to your message! 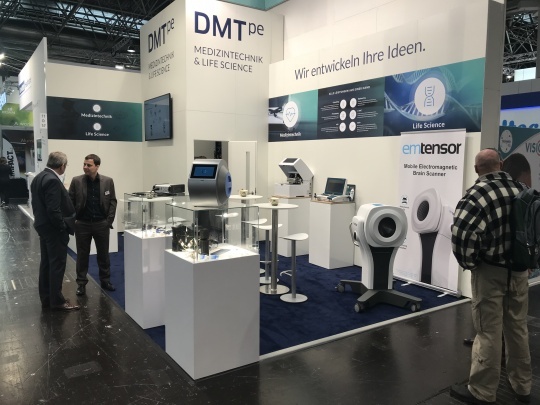 On October 25th we were represented with our own booth at the „Medical Technology Conference“ of the senetics healthcare group GmbH & Co. KG in Ansbach, Germany. On this context, we would like to thank our host for the successful event as well as the visitors and other exhibitors for the interesting discussions during the day. We would like to say “thank you” to our many interlocutors and trade fair visitors for the good conversations at the analytica (10. to 13. April) and the Medtec Europe (17. to 19. April). We are looking forward to a continuation at one of our upcoming trade fair appearances. Medica / compamed 2017 - succesful fair visit! 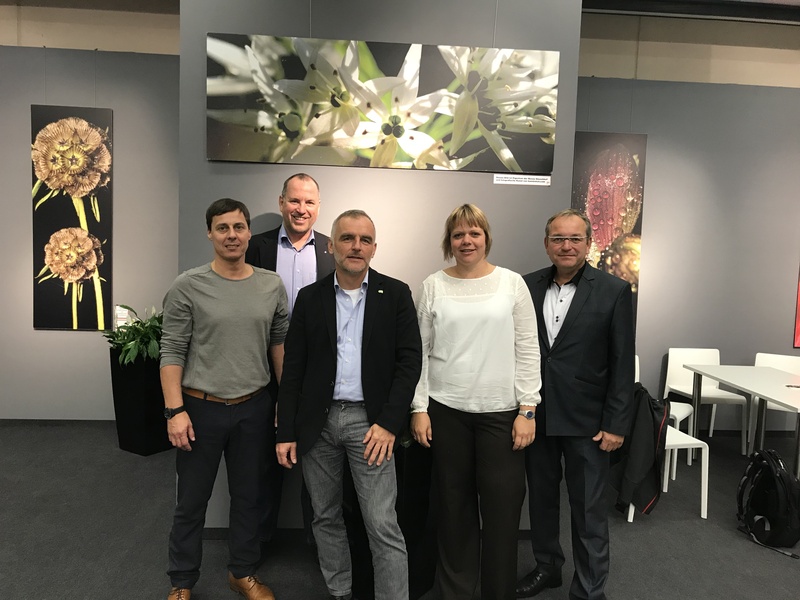 Medica / compamed 2017: Fair visit was a great succcess! We would like to say "thank you" to our numerous interlocutors for the good conversations and we are looking forward to their continuation!